The CrossFit Journal Sports Series is going from stand-up paddleboarding in California to rock climbing in Georgia. The Sports Series provides opportunities for CrossFitters to try and compete in new sports. It's also a lot of fun. The event will run on Saturday, December 11, at the Stone Summit Climbing Center in Atlanta Georgia. It will begin at 10:00 AM. The $35 registration fee will get you a full day of climbing, a CrossFit Sports Series t-shirt, and beer. For CrossFitting families the gym will provide a climbing area for kids. There will also be a timed climbing competition. 11 November 2010 / 5:48 p.m.
Wow! That was poorly written and organized. 11 November 2010 / 5:52 p.m. I will be coming from out of town, how long will the event last?? Just wondering about hotel or driving home that day! Thanks! 17 November 2010 / 6:59 p.m. Okay, folks. 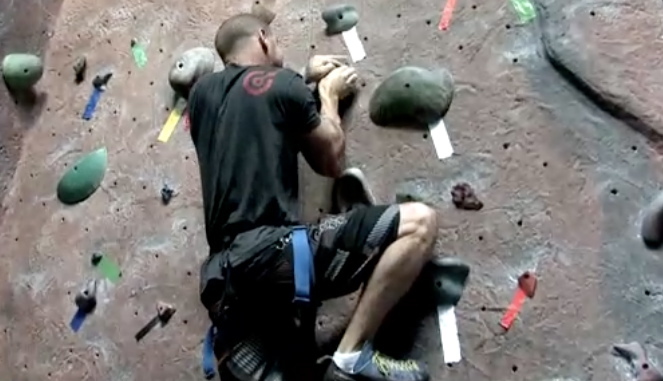 This "CrossFitter" asks that you acknowledge that this is NOT rock climbing. Its climbing on plastic holds. I rock climb at "Smith Rock," & let me share with you that REAL rock climbing involves getting the f**k scared out of you 500 ft. or more off the ground...ON LEAD. Please don't "dumb down" rock climbing, as if gym climbing is what it is. Real climbers only get on plastic when the weather is sh*t, and even then, they're out ICE CLIMBING or mountaineering if they can be. 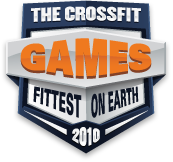 17 November 2010 / 9:12 p.m.
"The Sports Series provides opportunities for CrossFitters to try and compete in new sports. It's also a lot of fun." Opportunities... nothing wrong with that and who really cares if they called it rock climbing?? It's climbing, plastic yes, but so what. 18 November 2010 / 1:19 a.m.
Almine...so you suggest taking a large group of beginners to Looking Glass or Linville Gorge??? Let's lead them up a couple 5 pitch routes in groups of 3 and "scare the f**k" out of them. Not only would that cause excessive damage to where we climb, but it also puts people at unnecessary risk. Talking that way is what turns beginners off of the sport and gives a false representation of all climbers attitudes. You are essentially dumbing down climbing with your attitude. All great climbers train in gyms and there are many classic climbs through the southeast with some granite that rivals Yellowstone (with less crowds). So please don't put down our hometown crags and speak with intelligence. Well said Sarah, you have to start somewhere, and better in a gym on top ropes with relative safety than outside. To people debating this event, go for it! 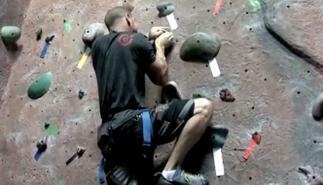 Stone Summit is a great new gym and provides an awesome indoor "crag"! 29 November 2010 / 6:02 p.m. I smack on odds on your Internet practically and I untroubled contribute that it my much and wonderful article to the passage. 30 May 2011 / 9:16 a.m.
games2010.crossfit.com is wonderful. There's always all of the ideal info in the ideas of my fingers. Thanks and keep up the excellent work! 04 December 2011 / 5:06 a.m.